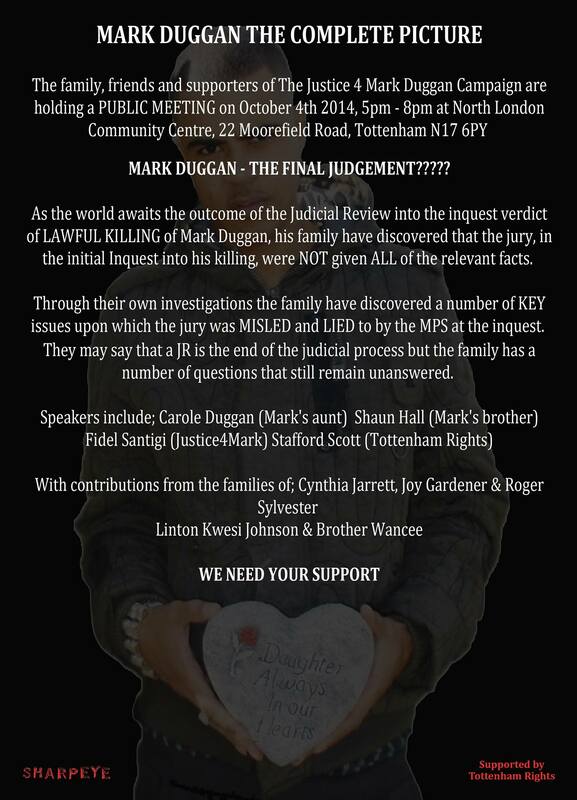 The aunt of Mark Duggan, who was shot dead by police on the streets of Tottenham in August 2011, is demanding answers from the Ministry of Justice over a missing file concerning Mark’s death. Today’s Mail on Sunday reports that a computer disk containing the file was “lost in the post” at the ministry and is still missing. 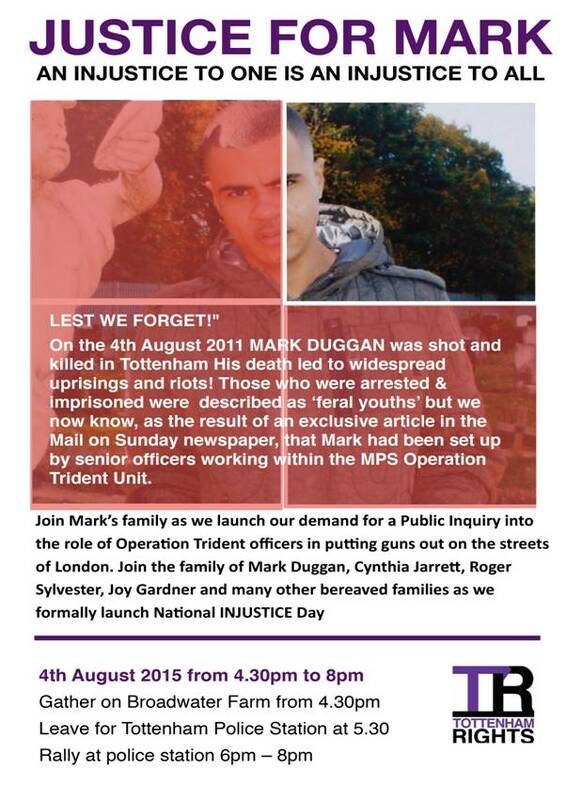 “According to some sources, the file may contain the name of the policeman who killed Duggan, as well as the identities of other officers involved,” the Mail on Sunday article says. 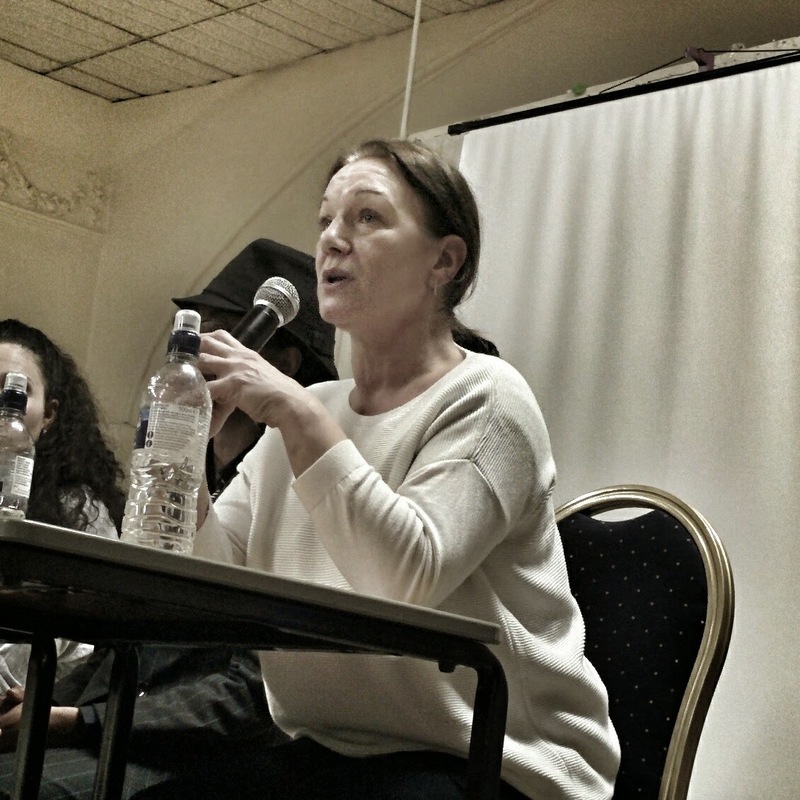 Carole, who is speaking at a Ferguson solidarity rally in Tottenham this evening, said: “The criminal justice system went out of its way to protect the identities of the officers who killed Mark, issuing all manner of reporting restrictions and anonymity orders in court. Now we learn that this apparently sensitive information has been ‘lost in the post’ at the Ministry of Justice. Carole added: “I’m dismayed that the Mail and I presume the Metropolitan Police press office have used this scandal as an excuse to recycle discredited rumours and innuendo about Mark. Carole is speaking at dates on the Ferguson Solidarity Tour alongside Patrisse Cullors, a Los Angeles based justice activist and co-founder of the #BlackLivesMatter movement, and several other families of those who have died in police custody. 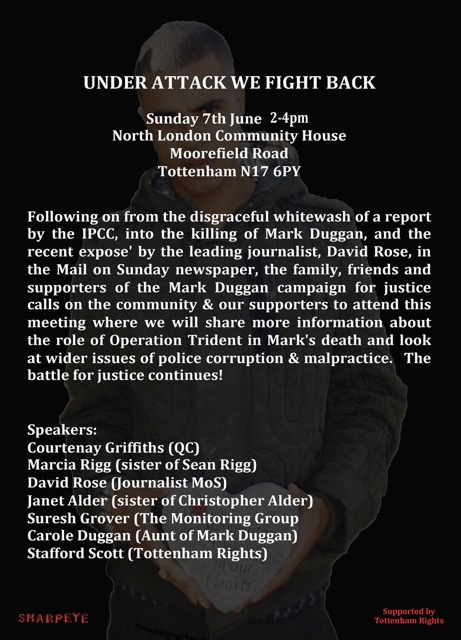 She is appearing in Tottenham tonight (Sunday) at North London Community House, 22 Moorefield Road, London N17 6PY, and will be attending a meeting in parliament tomorrow evening (Monday) organised by Diane Abbott MP and John McDonnell MP for deaths in custody campaigners. Carole will also be speaking in Manchester on Thursday at the Hideaway Youth Project, Quinney Crescent Shoreham Close, Manchester M16 7D.